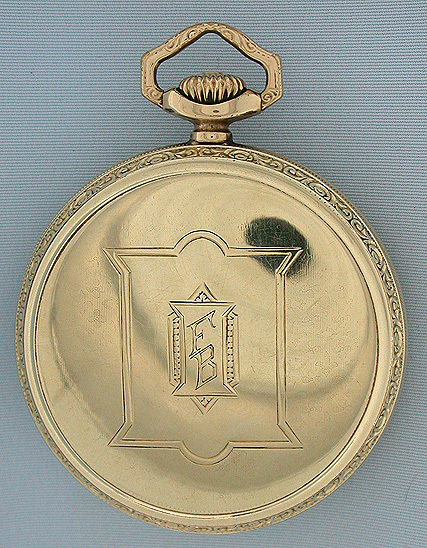 Fine Waltham Vanguard 23 jewel 16/S green gold filled railroad watch with winding indicator circa 1913. 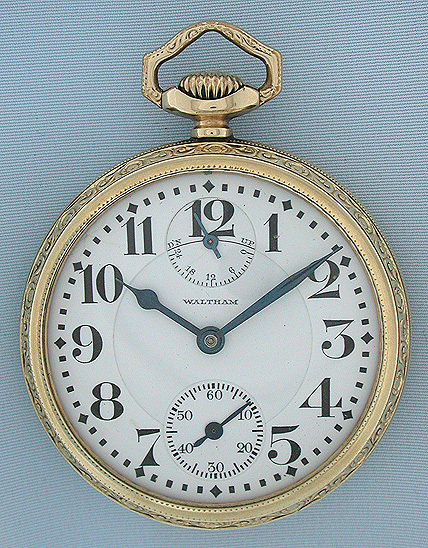 White enamel dial with bold numbers, heavy blued steel hands, and minor spider hairlines under the bezel. Plain polish case with fancy bezels. 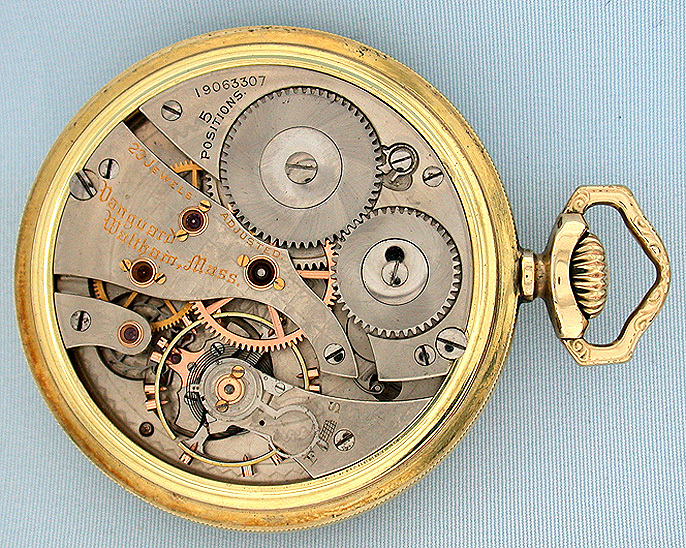 Fine nickel 23 jewel movement missing regulator set screw.